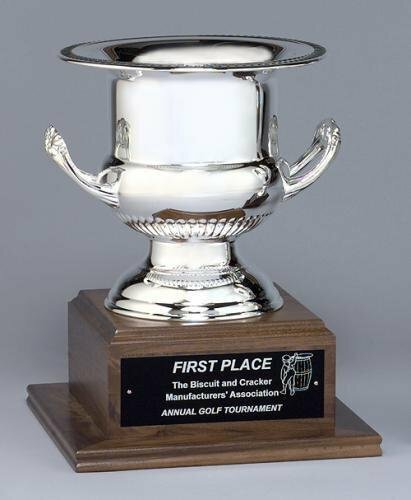 Award Cup Trophies have a beauty all their own. Gold-tone or silver-tone thick-walled metal cup on black marble base. Engraved metal plate attached to base. 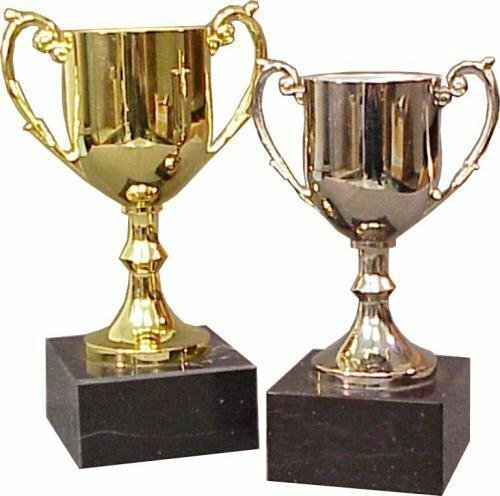 Heights shown are for total trophy including base and handles. Up to 10 words on plate included. 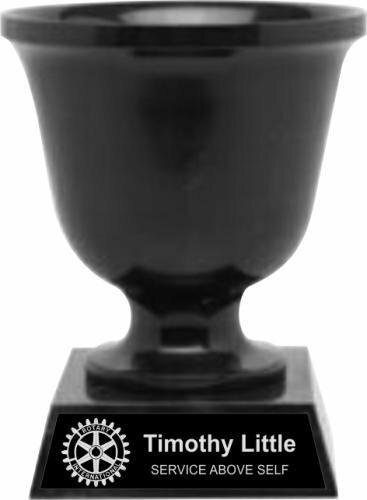 Black marble cup. Weighs over 9 lbs, making a statement with its size and heft. Engraved black aluminum plate attached to base. Individually boxed. Up to 10 words on metal plate included. 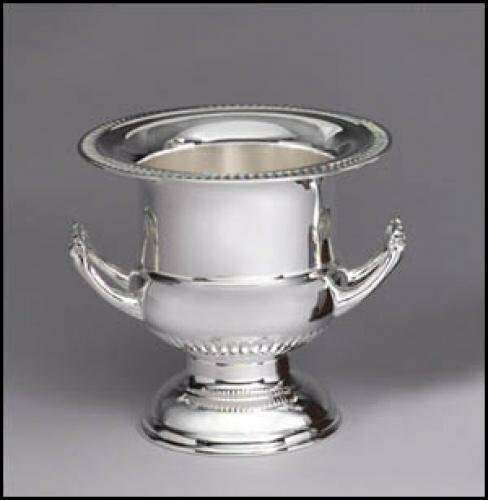 Silver-plated wine cooler. Makes a great gift. This is also available on a base with an engraved plate as shown here. An elegant silver plated metal Wine Cooler on walnut base. Laser engraved black aluminum plate.